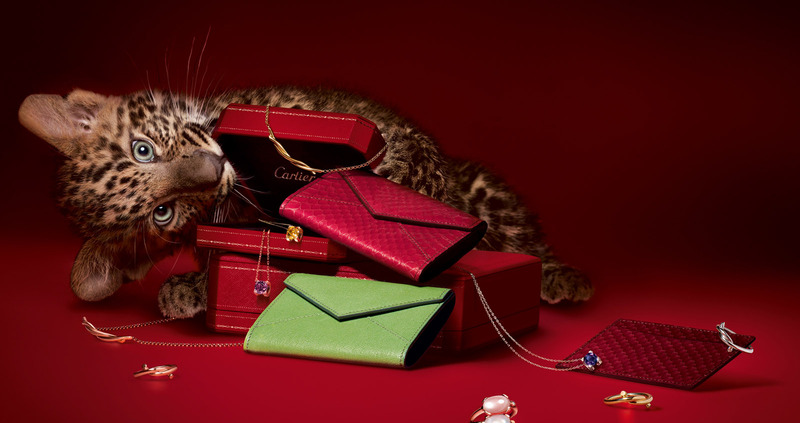 Cartier is a subtle brand, using simple logos attached to trademark craftsmanship and quality materials to identify their products. That brand subtlety can emerge in truly remarkable ways, and certainly does in Cartier’s Ballon Bleu W69010Z4. Stunning stainless steel links bring the bracelet band together at a folding deployment clasp. The clasp allows for a sturdy and secure attachment to your wrist, with a simple deployment to remove it, if ever you wanted to. Opposite the clasp the band links connect to a round, similarly stainless steel case with a fixed bezel. This case and crown together forms one of the most intriguing and innovative watches within the Cartier brand. Within the soft circle of the case, sits the fluted crown. Rather than protruding unnecessarily far out to the side of the watch, the Ballon Bleu W69010Z4 includes the crown and blue cabochon inset just inside the case. The silver dial then takes on a small bit of warping that gives this watch a unique whimsical touch. Black roman numerals mark each and every single hour with the three o’clock pushed in toward the center from the inset crown. Just within the roman numeral is a circle of black notches that help distinguish minutes. And, finally, within the minutes circle are the origins of the two watch hands. Blue sword-shaped hour and minutes hands give a glamorous burst of color matched in the crown’s inset cabochon. The strange warping that occurs from the crown creates three layers (the case, the hours circle and the minutes circle) of the letter C—an obvious and extremely well developed instance of branding. Cartier chooses shape over patterns or markings to make their name a fundamental part of the watches unique craftsmanship. Other features of the W69010Z4 are a sapphire crystal covering that is anti-reflective and resistant to scratching; Swiss-quartz movement for incredibly accurate time; and water-resistance to 100 feet, or 30 meters—wear it in the shower, but remove for swimming or diving. The understated nature of the stainless steel band and face in this particular model, however, makes the W69010Z4 the most elegantly unique Cartier watch in the entire group. 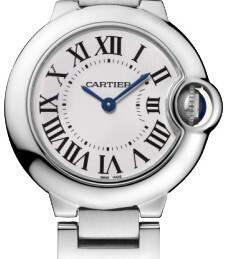 Copyright © 2011 Cartier Reviews, Inc.